Complete Do-it-yourself Steel bolt-together kits, galvanized pre-painted roofing, factory painted trim and post, and galvanized framing. 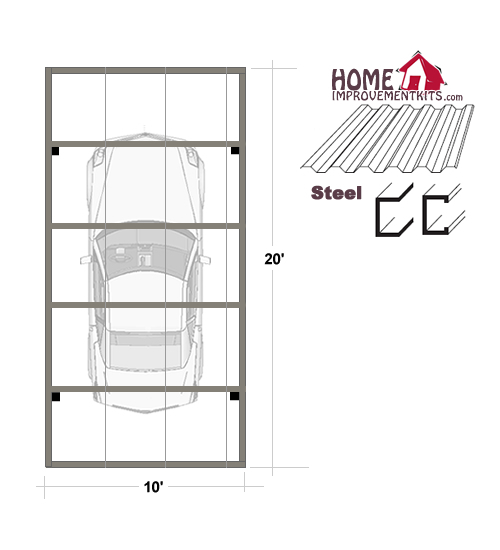 10' x 20' Steel Carport Designed for residential or commercial use. 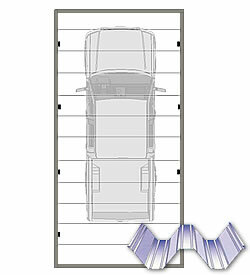 Our steel covers provide a cost effective, low maintenance way of protecting you vehicles and equipment. Designed for ease of installation and with the use of galvanized and pre-painted materials for long life and lower installed overall cost. 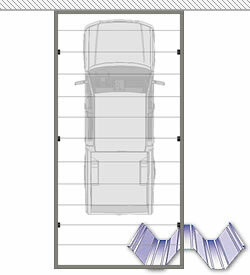 Post are aligned with where your car tires will be so that car door opening in not inhibited. 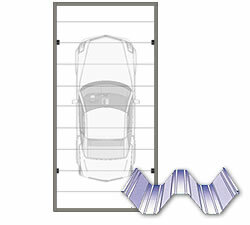 Our steel car port covers can be custom configured to achieve the desired results. 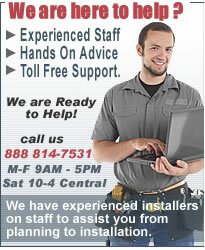 Factory painted white 29 or 26 gauge galvanized steel roofing with a 3/4" rib height, (white to reflect heat). Colored panels are available. 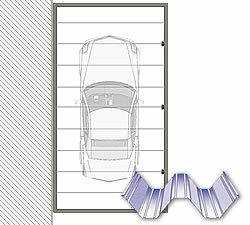 (8ï¿½ post with brackets available on request) use for attached units only. 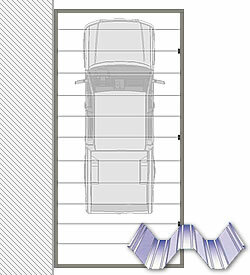 Walk way covers and extensions can be added to the standard covers.